> Governance and Regulatory – Is your order-making policy compliant? The recent successful prosecution of Coles Supermarkets Australia Pty Ltd (Coles) for offences under the Food Act 2001 (SA) by the City of Onkaparinga once again demonstrates the regulatory potency of prosecutions under food safety legislation. The prosecution also illustrates that the strong stance of the courts against breaches of food safety legislation is here to stay. ‘[b]eing such a large operator carries with it the risk that a failure of a system may expose larger numbers of customers to the potential consequences of that offending. The defendant assumes that risk and the obligation to take all necessary steps to guard against it’. Even in spite of prompt rectification of wrongdoing, remorse, negative publicity, and guilty pleas on the part of Coles, the Court nevertheless imposed a fine of nearly half of the maximum amount it was able to impose. The primary stated purpose of the penalty was ‘general deterrence’, or, in other words, communicating to all other operators that breaches of food safety legislation will not be tolerated and will be treated seriously. Food safety prosecutions are a powerful means of securing the compliance of food business operators with laws designed to protect community health. After a series of recent high-profile cases, Courts now take an unambiguously strong stance against food legislation breaches in South Australia and are willing to impose significant fines on large companies, smaller businesses and individuals alike. Moreover, prosecutions are a visible means for local government authorities to demonstrate to the community a commitment to their safety and wellbeing. Norman Waterhouse is pleased to regularly provide assistance to local government authorities in prosecuting those businesses which put community health at risk. We also regularly provide advice and training concerning effective and reliable investigation and evidence gathering techniques relevant to all facets of local government’s regulatory responsibilities. Unlike some offences under the Environment Protection Act 1993, there are no offences under the Development Act 1993 which carry a possibility of imprisonment. So how is it that offenders end up in jail? The answer is, perhaps surprisingly, persons in breach of the Development Act end up in jail when civil enforcement is taken, court orders are obtained, and the person seriously disobeys the court orders. Put in legal terms, the person commits a contempt of court when they disobey the court’s orders, and a contempt of court may be punished by imprisonment. In extreme cases, a contempt of court may be punished by indefinite imprisonment until the contempt is purged. There are notable cases of journalists who have defied orders to reveal sources, and have consequently been jailed for months, or years, while they remain defiant. However, in the world of the Development Act, the waters are usually somewhat calmer. A single finding of contempt is often enough to prompt a person to finally comply with the court orders. See, for example, Registrar, Environment, Resources and Development Court v Becker  SAERDC 47 in which the contempt was explained as a misunderstanding and no penalty was imposed (although a good behaviour bond was required, and costs were ordered to be paid by Mr Becker). Recently, however, a counter-example came to light. Mr Wandel was a potato farmer on Kangaroo Island. In or around 2003 he engaged in native vegetation clearance, and the construction of a dam, in breach of the Native Vegetation Act 1991. In 2006 court orders were made requiring him to revegetate the land in a step-by-step fashion over a number of years. Despite monitoring carried out by the Native Vegetation Council, and its urging him to comply with the orders, Mr Wandel declined to do so. Contempt proceedings were brought against Mr Wandel in 2013, he was found guilty of contempt in early 2014 and penalty was imposed in May 2014: Registrar, Environment, Resources & Development Court v Wandel (No 2)  SAERDC 13.
offered only a perfunctory apology and was not particularly contrite. The Court ordered that Mr Wandel be imprisoned for six months, suspended on condition that he be of good behaviour for three years and to finally comply with the revegetation orders. A fine of $5,000 was imposed which, if not paid within three months, would be converted automatically to a one-week imprisonment. Mr Wandel’s case is a salient reminder that enforcement proceedings do have an end-game, and persistence will eventually win justice in the end. We have previously discussed the situation where an easement confers such extensive rights that it cannot be considered to be a valid easement. We now turn to discuss one of the most common forms of easements in more detail: rights of way. There are various avenues for the creation of a registered right of way where a council is the proposed Easement Holder. First, a Landowner may expressly grant the right to council as the Easement Holder. The creation of a right of way by grant can be made by lodging a Grant of Easement executed by both the Easement Holder and the Landowner with the Lands Titles Office. A plan will also need to have been filed with, and approved by, the Registrar-General if the right of way is only for a portion of the land (which is most often the case). Thirdly, a council may transfer land to the Landowner and reserve to itself a right of way over the land so transferred. The right of way could be reserved as appurtenant to any other land of the council (e.g. adjoining land that requires ongoing access). A council can also have the benefit of a right of way "in gross". A right of way in gross is not for the benefit of a particular parcel of land (the "dominant tenement" usually required for a valid easement) but exists for the benefit of a statutory authority generally. When creating a right of way, the scope of the right being granted should be expressly described. This will help to avoid any uncertainty and hopefully, any future disagreements between the Easement Holder and the Landowner. In South Australia, the conferral of “a free and unrestricted right of way” is deemed to imply the long form right of way set out in Schedule 5 of the Real Property Act 1886. Although different or additional rights may be granted, this is a simple way of granting to the Easement Holder a full and free right and liberty to pass and re-pass over the relevant land for all purposes with either vehicular or pedestrian traffic. Governance and Regulatory – Is your order-making policy compliant? All councils are required to prepare and adopt a policy under Section 259 of the Local Government Act 1999 (SA) (the Act) regarding the operation of Chapter 12 Part 2 of the Act. The sections within Chapter 12 Part 2 to which the policy must relate are sections 254–259 of the Act. [under the relevant order-making provision]. Section 299, under which a council may, upon application of an owner or occupier of land, require the owner or occupier of land adjoining that of the applicant to remove or cut back vegetation encroaching onto the land of the applicant. Among other things, this means that the order-making policy that all councils must maintain under Section 259 of the Act must deal with not only the order-making circumstances set out in Section 254, but also the order-making provisions of Section 216, 218 and 299 of the Act, as a minimum. 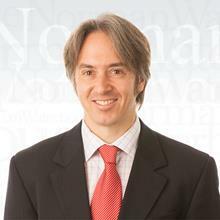 Norman Waterhouse has extensive experience both in governance policy review and regulatory enforcement, and regularly advises upon order-making policies and practices. On 16 October 2013, the Commonwealth Minister for the Environment, the Hon Greg Hunt MP, announced that the Federal Government had approved a framework for delivering a ‘one stop shop’ for Commonwealth environmental assessments in South Australia. On 19 December 2013, the Minister declared an intention to expand that framework to also encompass approvals. Under this framework the Commonwealth will continue to accredit State assessment processes (an ‘accredited process’) under the Environment Protection and Biodiversity Conservation Act 1999 (Cth) (EPBC Act), creating a single environmental assessment process for some nationally protected matters. The aim is to simplify the assessment (and later, approvals) process for businesses, create swifter decisions and improve Australia's investment climate, while maintaining high environmental standards. negotiating an ‘Approval Bilateral Agreement’ relating to environmental approvals by 18 September 2014. South Australia and the Commonwealth have signed a Memorandum of Understanding, and an Assessment Bilateral Agreement (BA) has been operative since July 2008. A draft updated Assessment BA (Agreement) has been proposed and released for public comment (see here). Submissions by interested parties on the South Australian draft Agreement closed on 17 March 2014 (see submissions here). The Agreement will likely replace the existing 2008 Assessment BA. A draft Approval BA is then likely to be prepared and exhibited. Draft Approval BAs for NSW and Queensland have recently concluded release for public comment (see here). An Assessment BA – how does it work? Like the 2008 Assessment BA, the Agreement allows proposed actions undertaken in South Australia which trigger the operation of the EPBC Act (known as ‘controlled actions’) and which are covered by the Agreement to be assessed by South Australia on the Commonwealth’s behalf under an ‘accredited process’. However, in the absence of an Approval BA, the final decision as to whether to grant or refuse approval under the EPBC Act continues to rest with the Commonwealth Minister. It is expected that both South Australia and the Commonwealth will inform proponents of their obligations and the possible requirements for approval under the EPBC Act. an action assessed as a mining lease, a retention lease, a miscellaneous purposes licence, or a program for environment protection and rehabilitation under the Mining Act 1971 (SA). The Agreement is limited to controlled action which occur wholly in SA and do not have relevant impacts in other jurisdictions (including Commonwealth waters). The Agreement does not have effect in relation to controlled actions in Commonwealth areas or an action taken by the Commonwealth or a Commonwealth agency. In short, where a major project (in the Development Act sense) also requires approval under the EPBC Act, the EPBC requirements may be assessed essentially as part and parcel of obtaining approval of the major project under the Development Act. No separate assessment by the relevant Commonwealth department is required. Similar provisions apply in relation to mining leases, retention leases, miscellaneous purposes licences, and programmes for environment protection and rehabilitation under the Mining Act. In essence, the 2008 Assessment BA will be continued in effect, and broadened in scope to incorporate matters assessed under the SA Mining Act. However, the funding provisions of the 2008 Assessment BA will be removed. Whether the Federal Government will continue to reimburse South Australia its additional administrative costs arising under the Agreement is not known to this author. Where a controlled action arises outside of a major project or mining matter, the proponent will have to seek approval from the Commonwealth Minister. What is the ‘accredited process’ for controlled actions? if appropriate, having regard to the objects and purposes of the EPBC Act and any comments from the Commonwealth Minister, to seek public comment on the guidelines before they are made. In terms of controlled actions arising as part of mining matters, the assessment under the Mining Act must include consideration of the relevant impacts of the action as defined in Section 82 of the EPBC Act. The assessment undertaken by South Australia is forwarded to the Commonwealth Minister as a draft Assessment Report. If the Commonwealth Minister is of the view that sufficient information has been provided to approve (or not approve) the controlled action, South Australia will then submit a Final Assessment Report. The Minister can request further information from SA, or may seek their own further information (in which case SA will be given an opportunity to comment on that information). There is no indication of when the Commonwealth and South Australia will finalise and sign the Agreement, although if the NSW experience is anything to go by, a final signed agreement cannot be far away. In NSW, the NSW Government executed its Assessment BA the day after public consultation had closed in relation to the draft, and the Federal Government executed the Assessment BA the day after that, bringing it in to operation on 20 December 2013. Public consultation on the NSW draft Approval BA closed on 13 June 2014 (i.e. within six months). Once the Agreement is executed, it is expected that work will commence on an Approval BA, with a draft for public comment released on or before mid-September 2014.